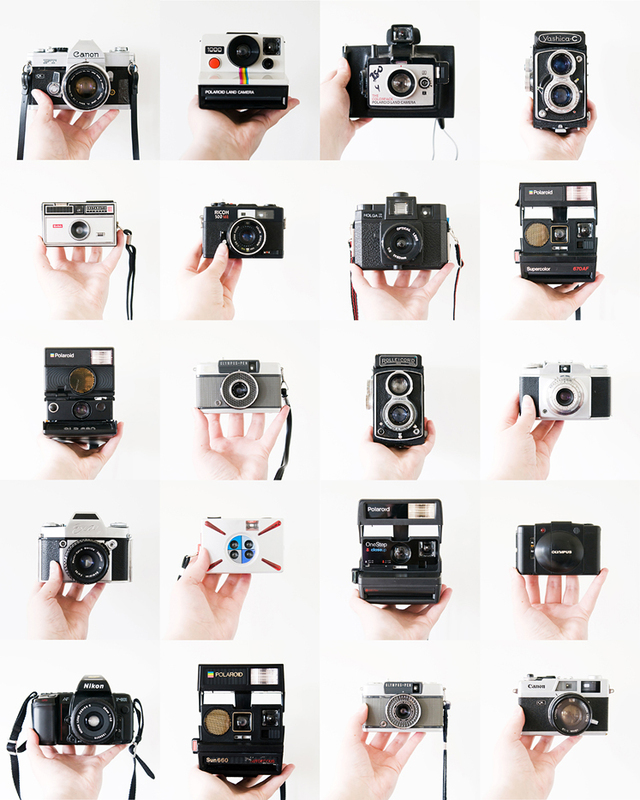 A beautifully photographed collection of cameras. What is that crazy one with the four lenses?? The collection belongs to Swedish blogger Hilda Grahnat. 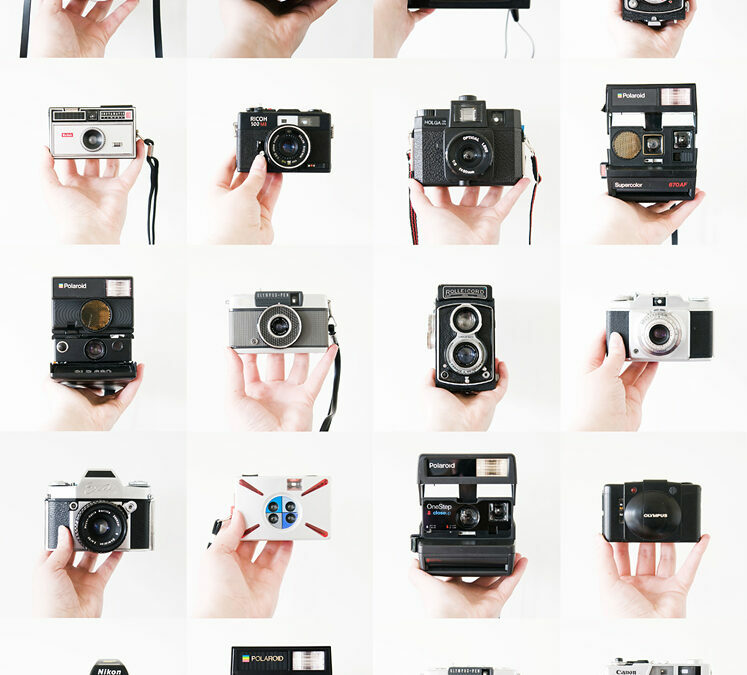 The camera with four lenses is a Lomo ActionSampler. It takes four shots in quick succession, so you get a little timeline of images in the one frame. Very cool!